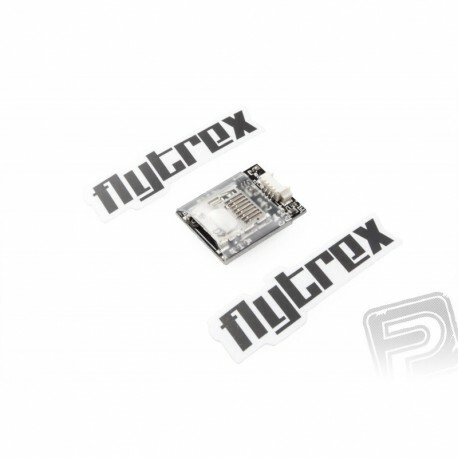 The first black box for multi-kickers - stores data such as GPS position, speed, height, distance, temperature and more on a microSD card during each flight. Together with the on-line Flytrex service, pilots can log and manage detailed flight information, analyze their pilot skills and enhancements, get track of their performance, get virtual badges for different performances, ring other pilots from around the world, or find their nearest colleagues . The device is compatible with the DJI Phantom 2 and Phantom 2 Vision + and Yuneec Q500 models. For a particular model, you need to purchase a compatible cable reduction. Take advantage of the flight manager to track records and flight statistics for each of your multicopter. You can assign a particular model and equipment to each flight so you can compare the flight performance of different planes and share the information with other pile drivers. The Personal Flight Book will help you analyze your progress and move further. You can easily view and share your best performances with your friends. Boast Flytrax badges for performance. Get your badges for speed, climb, reach, range, global travel and more! Find nearby other multi-pilot pilots using a map showing current flight activity from around the world. When traveling, you can get valuable information or find interesting scenery for your next adventure. Use our Explorer to search for the latest flights by location or airplane.